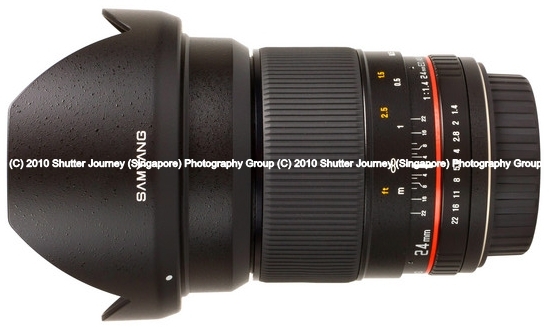 Samyang 24 mm F1.4 ED AS UMC has been designed to work with most popular reflex cameras produced by renown manufacturers and equipped with small-image sensors or smaller. The lens will be available with a mount for the following systems: Canon, Four Thirds, Nikon AE, Pentax, Samsung NX and Sony Alpha. 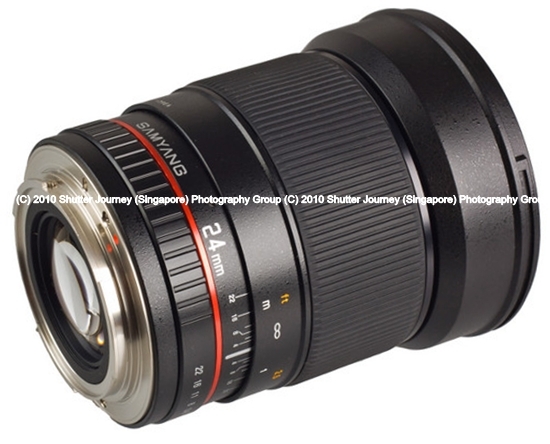 24mm focus is tailor-made for most of the sensors available on the market today. 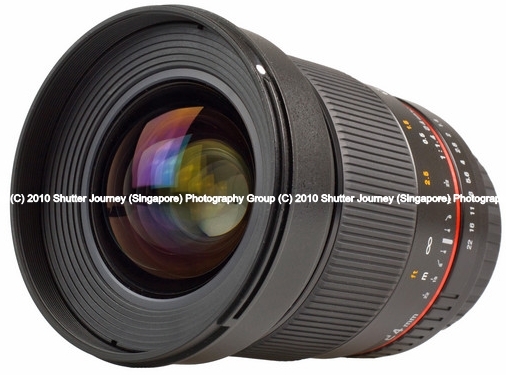 In the case of full-frame cameras, it constitutes a high-quality wide-angle lens perfect for street, landscape and architecture shooting. Whereas photographers using DX sensors will get just perfect lens for the purposes of calmer journalist and landscape photography. 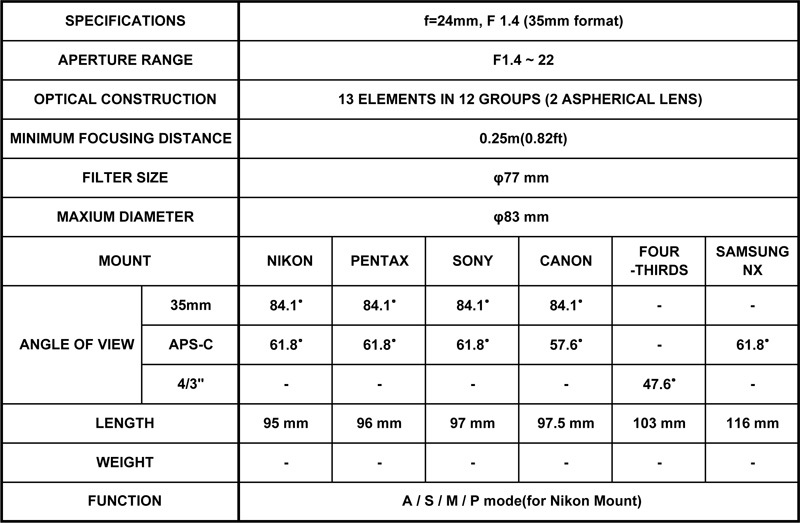 The lens attached to Four Thirds cameras will create a universal and bright construction corresponding to the 50mm focal length. 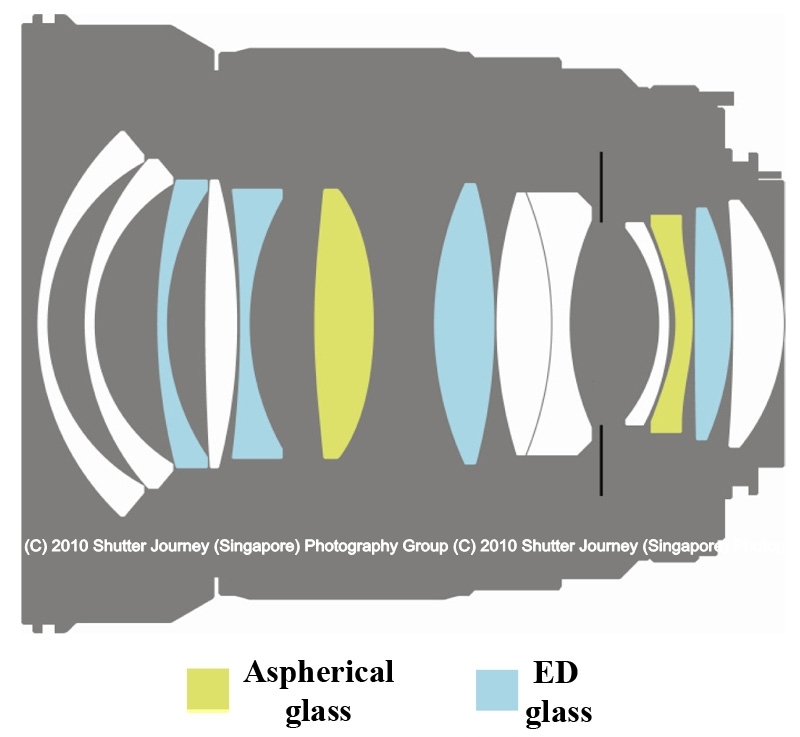 The lens should be available for sale by the end of the year or at the beginning of 2012. The exact price will be announced at a later date. This entry was posted in Brand: Others (Cosina, Carl Zeiss, Leica, Mamiya, Samyang, Vivitar, Zenitar,etc), Photography Articles & Videos, Uncategorized and tagged DSLR, Lens, Samyang. Bookmark the permalink.